With the Grand Depart of the Vendee Globe singlehanded round the world yacht race just eight days ago, some people will be thinking of what it would be like to sail solo, and what qualifications there are out there to sail alone? The fact is, most people will sail singlehanded at some point in their sailing careers and it is a good way to become self-sufficient – however there isn’t much out there in terms of solo sailing qualifications. 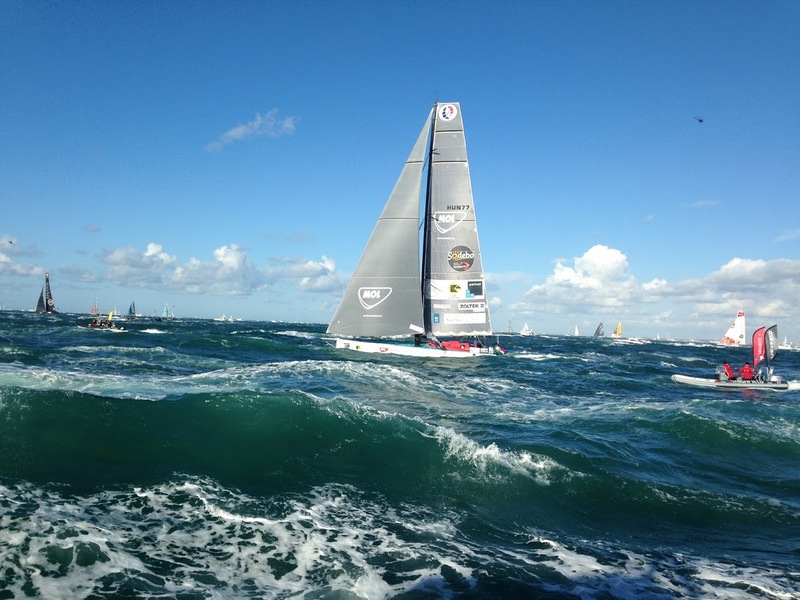 The Vendee Globe – A Solo Circumnavigation Feat! Did you know that only 41 people have successfully sailed solo around the world? Over 3,000 people have survived summiting Everest, and 12 have walked on the Moon – that makes a solo circumnavigation closer in terms of human achievement to a Nasa mission than virtually any other adventure. Everyone Learns to Sail Alone! To be a solo sailor you largely need to learn to sail in the first place – you don’t have to be a giant of yacht racing with a €30 million budget! You could sail solo for as little as €200. How? You go through the first steps of your local sailing scheme. Most of these will be on small singlehanders such as the Laser Pico, Optimist and Topper. They are tiny boats for kids yet are incredibly forgiving. Under close observation by your sailing coach, you will learn to launch, tack, gybe and sail at most points of sail. Look up the CanSail scheme, the RYA syllabus, or the Australian Sailing programme to see how you can get your feet wet on dinghies for the first time. Couples Sailing Together – A Great Way To Split! When I was thinking of buying a boat at my old sailing club a few years ago, a couple of the old timers pointed out that where a married or otherwise committed loving couple go sailing together the sailing itself can cause rifts that lead to them splitting up! Where those discussions take place between committed couples and one of the pair is less keen on sailing than the other then the best thing that could happen is the crew could find another boat… though the discussion could be brought up again at home to the effect of ‘How dare you speak to me like that…’ and so begins the end of an otherwise happy relationship! What does this mean? Looking at the field of the sailing club I was in in Bedfordshire, the bulk of the fleet out every Wednesday evening were solo sailors who enjoyed their passion alone. Are most sailors solo even in later parts of their sailing careers? Certainly in dinghy sailing, you may well find this to be the case! Over the years I have learned that dinghy sailing teaches some of the best technical sailing skills. Not all Vendee skippers have dinghy sailing in their background, but those that do will have great sailing skills that include perfectly trimming their sails for a given course and finding the best puffs of wind further down their route. This is because dinghy sailing is about marginal gains, and where in the Vendee you may win by hours in a very close race you may win by half a second in a tight dinghy sailing fleet. Two competitors in the Vendee may seek minutes a day of extra room, but those minutes will add up to those hours – and they in turn come from the seconds of marginal gains! No matter whether you sail solo for whatever distance or as a team, sailing is as much about the fun in the bar after as it is about what you do on the water. One 2008/9 Vendee Globe veteran told me he spent the week before the race getting drunk with his mates and making last minute decisions – it wasn’t about coldly preparing for the dangerous and exciting 2.5 months ahead so much as having as much fun as your liver could manage!